The reason for this is because even though a total knee replacement has become the most common surgical procedure in the United States (around 600,00 each year), it is still considered an elective surgery, as opposed to an emergency surgery like the one a patient might need while they are having appendicitis. According to recent news report from Your 4 State, one woman had a total knee replacement procedure performed at not cost to her as a result of a program known as Operation Walk. Technically, she had two new knees, as doctors performed a bilateral knee replacement where the patient has both knees done in one operation. 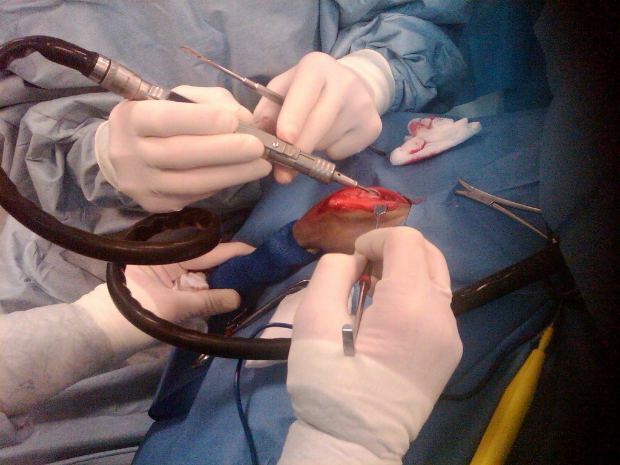 This can be done by two surgeons working at the same time, or with one surgeon doing one knee and then the other. While this is done all the time now, it is still somewhat controversial, since it can increase the amount of time a patient is under general anesthesia and can increase the risk of other complications, such as deep vein thrombosis (DVT). However, it can also reduce the time it takes for a patient to recover and the number of times a patient undergoes surgery. The patient featured in this story was only 55 years old, but she had lived a very active lifestyle, as she played basketball frequently and also enjoyed biking on a regular basis. Her knee suffered as a result of her active lifestyle, and she could hardly walk. However, she did not have health insurance, and there was not much she could do about that. However, her doctor told her about this program and submitted her name as an applicant. Much to her joy and surprise, she was selected to receive two free artificial knees, and all costs would be covered. She knew this was a life-changing event. To get an idea of the cost, a single total knee replacement operation can cost as much as $50,000. Since much of the cost has to do with hospital fees and surgeon fees, as well as for the anesthesia and other drugs, this is one of the reasons that a bilateral operation may be preferred. While the costs are more than with a single total knee replacement, they are not double. While this patient was very happy with the results of her surgery, as our Boston knee replacement injury attorneys have seen, if the medical device itself is defective, there is very high risk of a bad outcome. This can result in tremendous pain and suffering and the need for a second or even third operation.